Chelsea was diagnosed with Aicardi Syndrome, Cortical Dysplasia (a brain defect), Epilepsy & Cerebral Palsy. She has been classified as disabled and takes several anticonvulsants medications and is developmentally delayed. Your support and generous donations are so greatly appreciated by us and will make a world of difference to the livelihood of our beautiful little angel Chelsea. 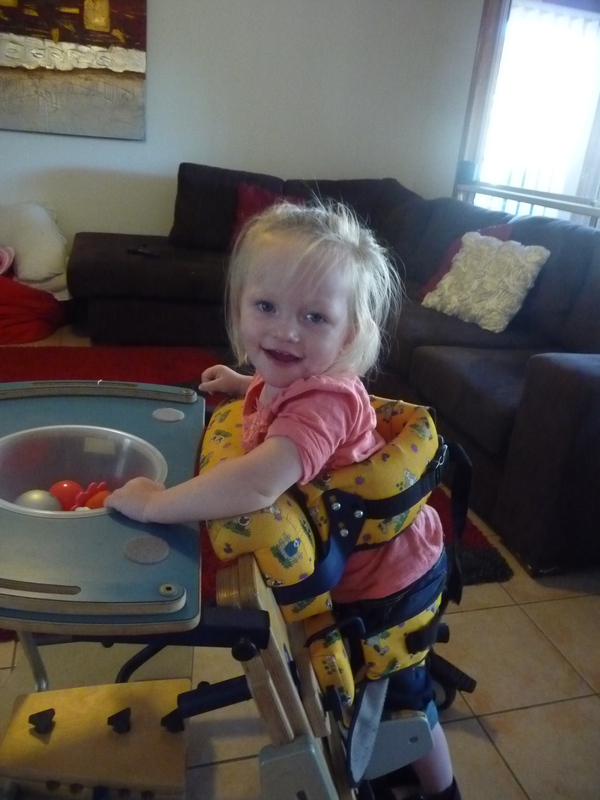 We hope to raise money to assist us in funding Chelsea’s specialist needs such as Physiotherapy, Speech Therapy, Hydro Therapy, Bowen Therapy, Occupational Therapy, Respite, Seizure Mattress, Conductive Education, Medications, Travel costs, ipad for communication and specialised mobility aids. If you want more information about Chelsea please visit her website http://www.chanceforchelsea.com.